When we stop and think about what Independence means to so many, I believe many of us forget why independent thinking is so important. Much like our forefathers did 242 years ago, they took a stance on independence by thinking “independently”. These thoughts allowed those brave men and women to over throw the tyranny of rule at that time, and use this independent thinking to drive away from the dictatorship they were under and strive for freedom of: Religion, Speech, Press, Peaceful Assembly and to Petition to Government for a Redress of Grievances. Can Purchasing more Technology Lead to Cost Creep? Your company starts to grow, and you need more technology to keep up with additional staff, customers and to help improve process. You are aware of the efficiencies and cost savings made possible by new technologies and are upgrading their infrastructures as a result. 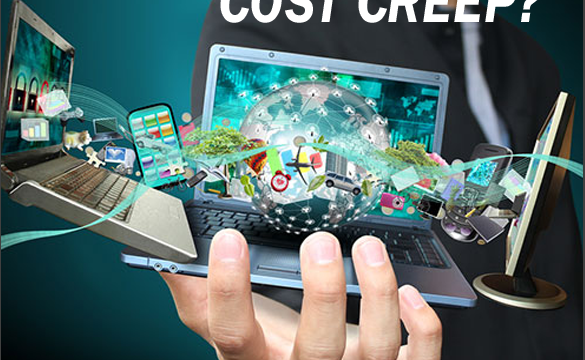 But are you aware of How Purchasing more Technology can lead to Cost Creep?